Jason Lemkin explains that few founders are naturally great a selling and closing enterprise sales, but he wants them to take heart. Listen to why it’s critical that founders sell and close their own first ten unaffiliated sales in the early stages of a startup..
My number one bit of advice for founders is don’t be discouraged, because founders are naturally great middler’s, almost all of them. Some of them are closers, but most of them don’t know how to do outbound, they don’t know how to pick up the phone, they don’t know how to generate a lead, and they actually aren’t comfortable asking for the money at the end of the day, but they’re great in the middle. They’re great at doing the demo, explaining the value propositions, bonding with the customers, right. Building out the business process change map, even management change and management doesn’t even know what management change is these days. So, what will happen is that if you are a great middler, you can be at least a great mediocre closer, so don’t worry about the fact that you’re not any good at closing sales. Just be a middler, build relationships with the customers, as CEOs. The customers want to talk to founders and you’ll close half as many as a real rep could, but that’s okay because you have to learn. And once you’ve closed the 10, get closers to help you learn how to close. Every entrepreneur knows that starting an enterprise software company is hard. 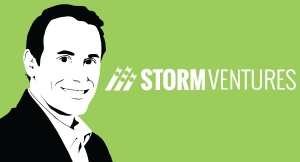 Jason Lemkin, Managing Partner with Storm Ventures and founder of EchoSign (acquired by Adobe), shares his secrets for how to start and run a successful SaaS enterprise software company. Jason is also one of the most popular startup bloggers in the world on his site called SaaStr. Here are two recommendations for finding and reaching buyers of SaaS products and services in the enterprise.